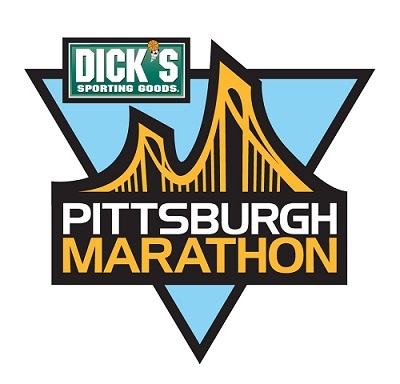 On Friday, a few people at the gym asked me if I was going to be running the Pittsburgh Marathon on Sunday, and I told them what I tell everyone every year: no. I don’t usually elaborate any more than that, but one person pressed further and asked me why. I told him that I wasn’t running the Pittsburgh Marathon because I refuse to miss church. 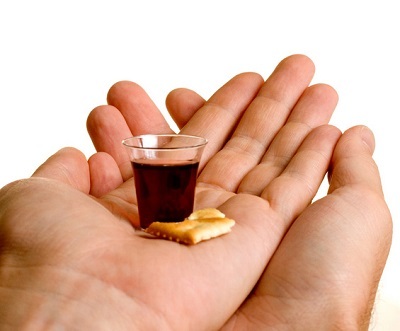 I specifically refuse to miss partaking in the Lord’s Supper, or as some call it: Communion. I’m a non-denominational Christian, so to me, the Lord’s Supper is something that Christians do every Sunday in remembrance of Jesus Christ. We eat bread and drink grape juice to symbolize Christ’s body and blood that He sacrificed for us in his death. Partaking in the Lord’s Supper is a huge part of why Christians attend church each Sunday morning. I truly try to keep Christ at the very center of my life. I want Him to be #1 in my life. Always. To me, if Christ comes first, that means that I remember Him every Sunday morning by partaking in the Lord’s Supper. That means that I don’t run races on Sunday mornings. I don’t sleep in on Sunday mornings. I don’t go to baseball games on Sunday mornings. I don’t miss church and partaking in the Lord’s Supper unless I absolutely have to (like if I was sick). I believe that Jesus died on the cross to save me from my sins. 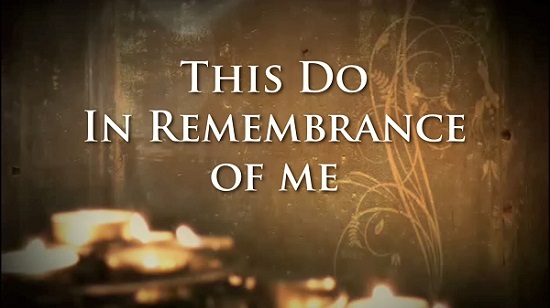 He asked that I remember Him on the first day of the week through Communion. Why would I miss partaking in Communion to run a race? This belief may seem strict, but I’m holding to it firmly. Is the Pittsburgh Marathon “wrong?” No! I’d love to run it, but I won’t run races on Sunday mornings. 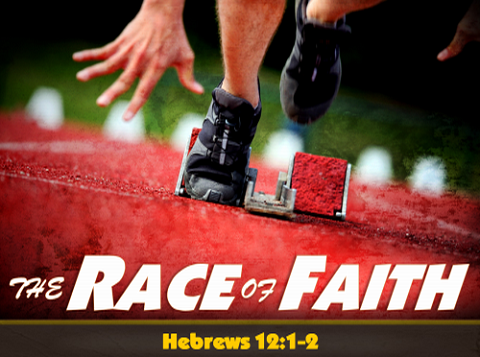 There are plenty of races on Saturdays that I can run without missing the Lord’s Supper. I’m not perfect. I sin every day. I’m not trying to judge anyone who runs races on a Sunday or isn’t a Christian. I don’t believe I’m better than anyone and didn’t write this post to make anyone feel bad or condemn people who ran the Pittsburgh Marathon. I just felt like I needed to get that off of my chest and explain why I personally don’t run Sunday morning races. Feel free to leave a comment or contact me by email (aks5313@psu.edu) if you have any questions! Hey! I promised I would share two tasty recipes. 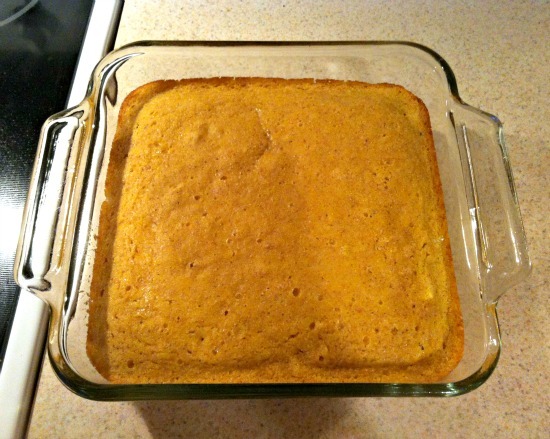 #1: My favorite corn bread. It’s sweetened with maple syrup and honey. I make a batch (or two) of it a week for snacking or as a side dish to lunch/dinner. #2: Tuscan chicken soup. 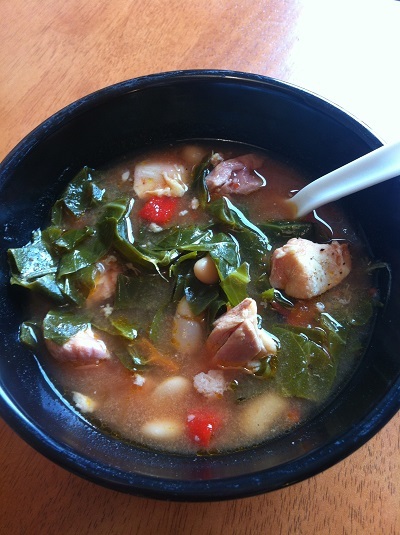 This soup is made in the slow cooker with chicken thighs, white beans, roasted red pepper, rosemary, and other delicious ingredients. My favorite part of this soup is the super tender chicken meat. 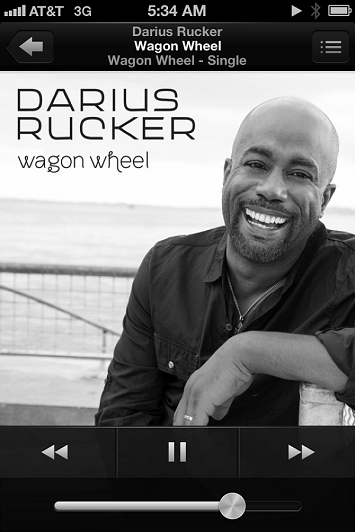 My brother got me listening to “Wagon Wheel” and now I’m obsessed with it (as you can tell from the screen shot–I was listening to the song at 5:34 a.m….). 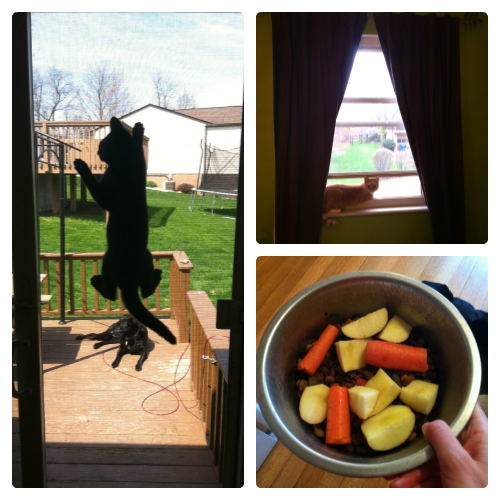 Felix continues to climb everything, Lily is still adorable, and Lola loves her fruits and veggies. 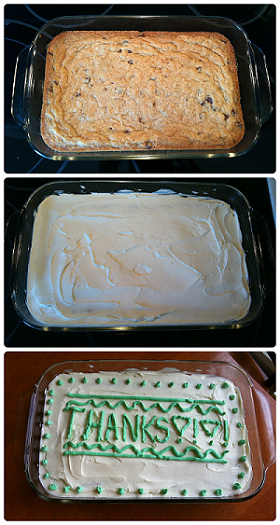 I made Jimmy’s brother a chocolate chip cookie cake because he helped me with a school project. Hopefully he forgives me for my terrible piping skills! My dad and I went on a father-daughter date to Monterey Bay Fish Grotto on Friday. 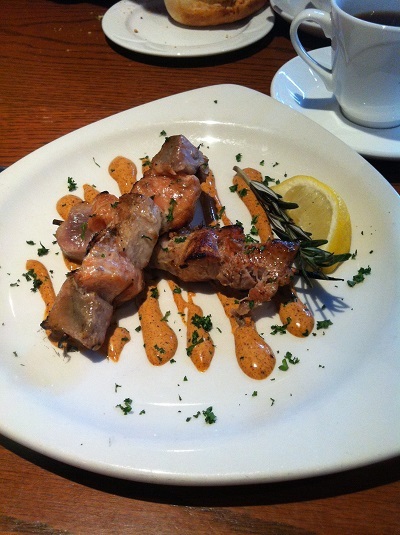 We shared a delicious appetizer of grilled tuna, salmon, and swordfish on top of a chili mayonnaise sauce. The best part of our date wasn’t the amazing food, it was when my dad went to the bathroom and came back with like five paper towels stuffed in his pocket exclaiming that they were “so cool!” because they had fish on them. I love my dad. 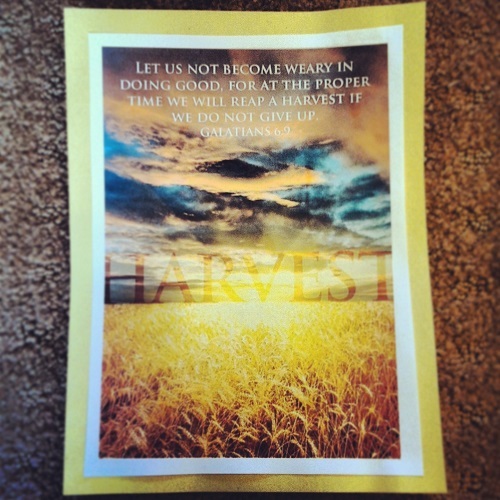 I’m really lovin’ Galatians 6:9. I keep this picture hanging on my mirror as a daily reminder to never give up!